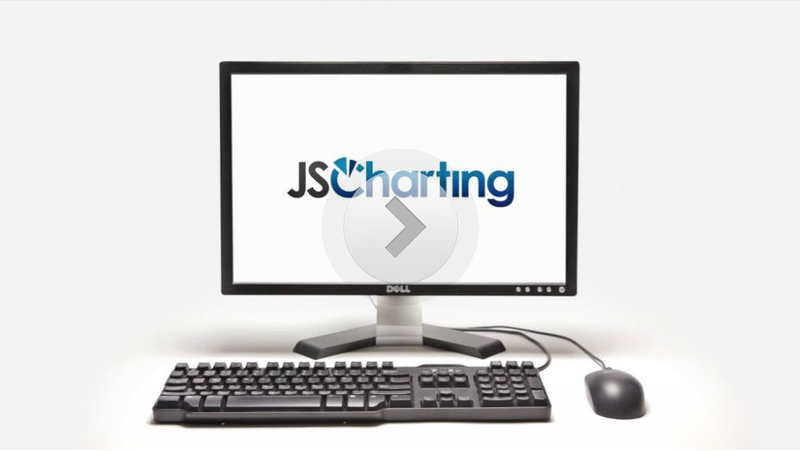 View a detailed JSCharting feature list and summary. The features you need; the speed you demand! JSCharting offers hundreds of features to meet your advanced requirements from globalization and internationalization support to advanced visuals, interactivity and real-time results. 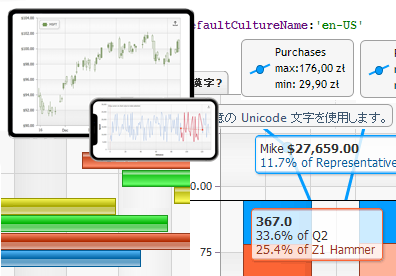 A chart type for every need, on every device! 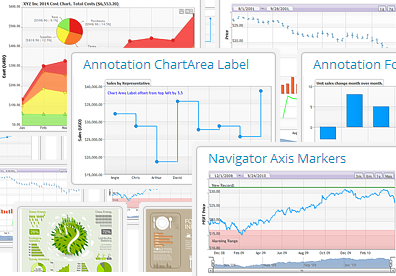 Including bar and column charts, lines, splines, steplines, advanced combination types, finance, stock charts, pies, donuts, and scatter charts plus new types on every JSCharting release! Thanks again for your help and most of all your patience and professionalism. Your support team is excellent, one of my best experiences with on-line pre-sales support. © 2013 JSCharting. All rights reserved.